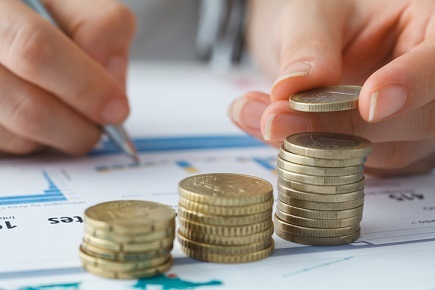 While generous L&D budgets may be a pipedream for many L&D practitioners – especially those in smaller organisations or the not-for-profit sector – organisations can achieve impressive results on a shoestring budget. He told L&D Professional that a tight fiscal budget does not always doom a learner to stunted development opportunities and may actually generate new opportunities for organisational benefits. “Take mentoring for example, the concept of a more experienced, or knowledgeable, or skilled, person guiding a less experienced, knowledgeable or skilled person is not new,” he said. He said benefits for the mentor include increases in self-esteem (“my expertise is being valued”), a sense of affinity (“I am an important part of the organisation”), increases in motivation (“I am helping others”), increases in performance (“I need to be a good role model”), increases learning (“I need to demonstrate competency”) and all lead to increases in engagement. Furthermore, he said benefits to the learner include a sense of belonging (“I am now a part of this group”), feeling supported (“they care about me”), bolstering of confidence (“I can do this”), gaining new skills and knowledge and feeling like they are growing, moving forward, and advancing in their position. Roddan said another way organisations can achieve excellent results is to piggyback off what other organisations have done or currently do. “Often others are willing to share their learning and development strategies and tactics so don’t be afraid to contact the learning practitioners and ask to swap and share examples of learning processes, materials and resources,” Roddan said. Roddan pointed out that organisations can generate exceptional learning results and include a competitive aspect into the learning experience. “Surf life savers, baristas, winemakers, fire fighters, chefs, farmers, builders, shearers, clothes designers and bartenders are a few examples of occupations that compete to demonstrate their skill in a competitive way,” Roddan said. Roddan said that achieving impressive results on a shoestring budget requires an eye on the outcomes desired and an open mind to all the opportunities that support the continuous improvement that a healthy learning environment provides. “The rewards to organisations that value and encourage learning are distinctive and have a positive impact on aspects of the culture as well as on performance,” he said.